For any culture to flourish, it needs a sense of history which, apart from the orally handed, has often been given through the interconnectedness of the medium of visual, literary and performing arts. Therefore, one could sum it up that through art, which relatively in the real sense produces culture, Nigeria nay African countries have been able to penetrate the apathy of Western audiences. There is the mind-set that among the different media of arts, there is understandably a symbiotic relationship and a very close connection that has culminated totally in tourism, a business that could unarguably handsomely contribute to the Nigerian economy. No wonder therefore the Nigerian government has considered in its effort to use tourism as one of the means with which to diversify the economy. So with the mind-set it is not out of place to establish and cherish platforms that offer a substantial body of history and culture in artworks for the present and the dispossessed past and ultimately for the economy, through the power of cultural contents —- the aesthetic freshness, originality of the performing, literary and the visual narratives. Historically the time was 2007. Mr. Jeff Ajueshi, bubbling with energy and enthusiasm and so much promise, had just left Lagos, where he was into his visual arts business, for a sweet and sour ambience of the cities in Abuja which he then knew not much. He left Lagos for Abuja where he saw a yawning gap in the arts community that was yearning for quality artistic representation; He left Lagos also perhaps because he had enough practical experience from his then boss and mentor, Mr. Chike Nwagbogu, the brain behind Nimbus Art Gallery. But, according to him, his sojourn in Abuja was crucially to reflect on his understanding and to offer wings to his expression, and for him to nostalgically have a recall of the totality and repeatability of his business experience, relationship and the entire scenario he had earlier found himself in Lagos and the ones into which he was later to get in Abuja. 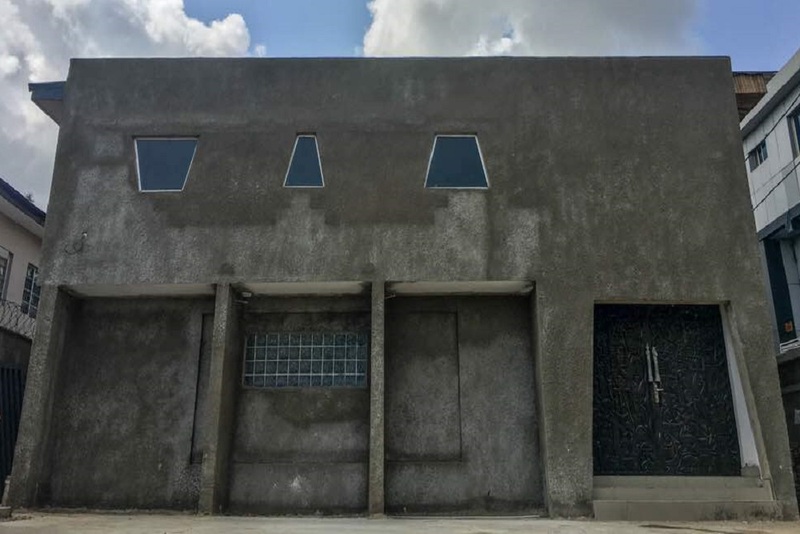 All this had subsequently resulted in his establishing a blossoming and flourishing Thought Pyramid Art Centre, Abuja, a gallery which has consistently been up and running for 10 years now. His gallery business is a success story to which he would reluctantly agree; now Obarisi, as he is fondly called by friends and associates, has brought a blend of his Lagos and Abuja experience back to Lagos. And going by the experience, he has over the years successfully curated works of local and international artists. He has now set up Thought Pyramid Art Centre, in the belly of Ikoyi, a Lagos city known in the art circle with a good number of established art galleries. Thought Pyramid Art Centre has come to Lagos, and is formally opened for business and by this feat Jeff has courageously altered the course of visual arts business in the country; he has profitably managed the first gallery in Abuja to give birth to another in Lagos, which is an astonishing story of growth and achievement not only for him alone but also for the entire Nigerian visual arts industry. He is chatting the course of the extraordinary cultural and art business revolution, exploring the opportunities to mainstream the arts business which he has worked for and which has in turn worked for him. Known within and outside Nigeria, his gallery is a success story indeed; appropriately so because the Lagos branch, just like the Abuja Centre, is not tucked away in a difficult-to-find area of the city. Wuse 11, Abuja and Ikoyi, Lagos are not at all hidden areas, and on getting to these galleries, the things, among others, the visitors are sure to encounter are enormous collections of visual narratives and the overall fantastic ambience that one could experience in other climes. With distinctive character, Thought Pyramid Art Centre, which, according to Jeff, is indeed for quality taste and interest and for every day, is also very attractive to young people, to the curious of all ages and to all the lovers of beautiful, unusual and exciting (space, paintings, drawings, and other items) creations. “Apart from the fact that the galleries are devoted to varied themes with exhibits including some of the best artworks to be found in Nigeria and even beyond, it is obvious that every bit of the imagination we put into the arrangement is to ensure that the direction and standards are maintained to enhance a glorious array of the beautiful artworks often on display, he says. Jeff and his management team have ensured that Thought Pyramid Arts Centre emphasises in the displays on combining objects, making links between different periods, materials or subjects. The richness of the collections, the standards of display, the furniture and the furnishings convey dexterity, elegance, and the creative aura especially highlighting the setting in the quietude meant to help visitors enjoy the full impact and examine a wide selection of works some of which are quite thematically symbolic and suggestive. The galleries are all about a wealth of fascinating collections with very many pleasant surprises; everyone is given the opportunity to find something to interest him or her. There are no golden rules as to what a visitor may expect to visually learn and discover, and Jeff himself promises to ensure that the pleasure of exploring the galleries would not only be interesting but also overwhelmingly wholesome.